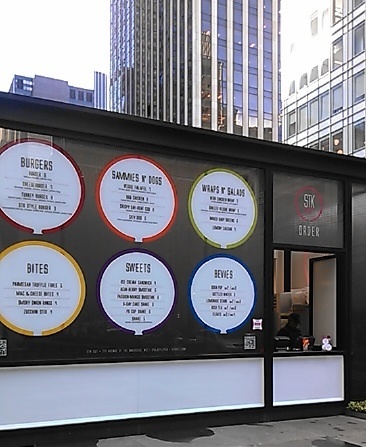 American - FOOD - "The Delicious"
It’s time for a quick GOOD IDEA/BAD IDEA with STK Out — a to-go outpost of the famous STK restaurant from The One Group. I’ve been eyeing this place for so long since I pass it often on my way to work and decided to stop by today. My mantra is fries are always a good idea. 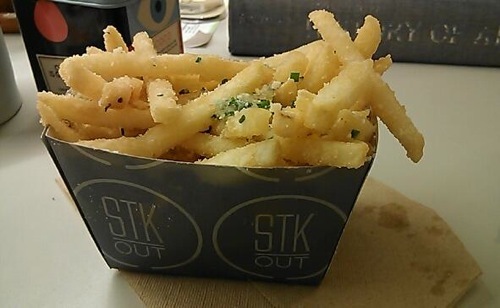 Parmesan truffle fries, an even better one. The best part is neither the truffle nor the parmesan just sit on top — it’s evenly spread throughout the serving of fries. Even if it is 9713298 calories, I devoured it to the end. I feel like I just got punk’d. I fixated on the “grilled” part, not realizing it was a cold wrap. I was just all sorts of thrown off. I’m generally not a fan of cold carbs, and it even crossed my mind after I ordered to ask if this was a cold wrap but I figured it was too late. 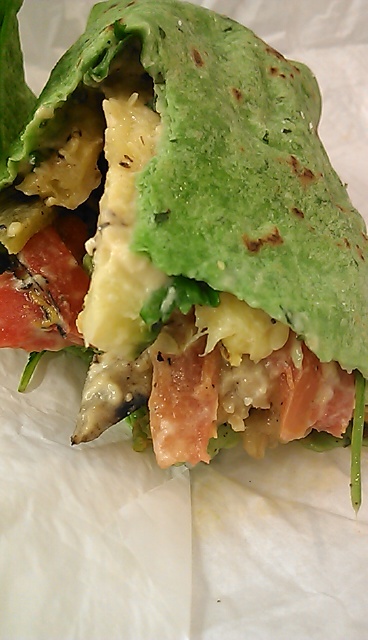 The ingredients sounded promising (hummus, zucchini, tomato, lemon vinaigrette rolled in a spinach wrap), but I could barely finish half. And THAT, my friends, is why I could never be a legit dietitian. The end. 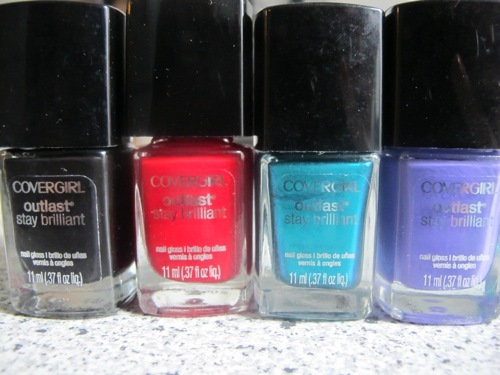 New: Long-lasting nail polishes from CoverGirl! Fun story: There was a point in 8th grade where I would come to school every day with a different nail polish design…to the point the private school I went to sent a letter home specifically about banning nail polish of any kind. 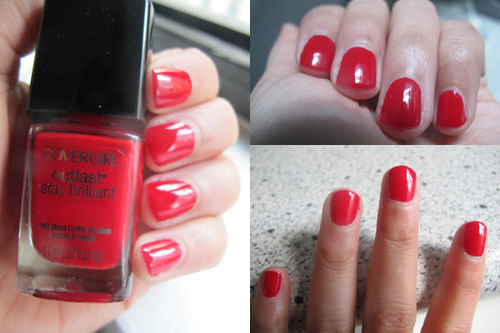 Sad day, but maybe foreshadowing to this: CoverGirl just recently released their Outlast Stay Brilliant Nail Gloss and I partnered with them to help with the launch! Those are my flip-fantastic nails! 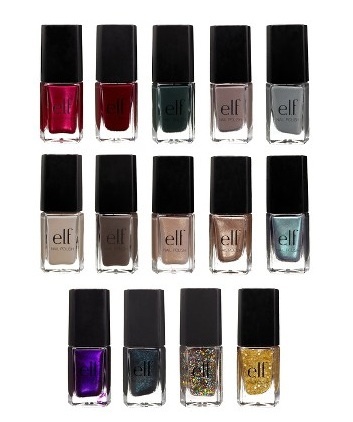 The nail polishes delivers high gloss color (no base or topcoat needed! ), with 15 shades that will expand to 45 trend-inspired shades come January. 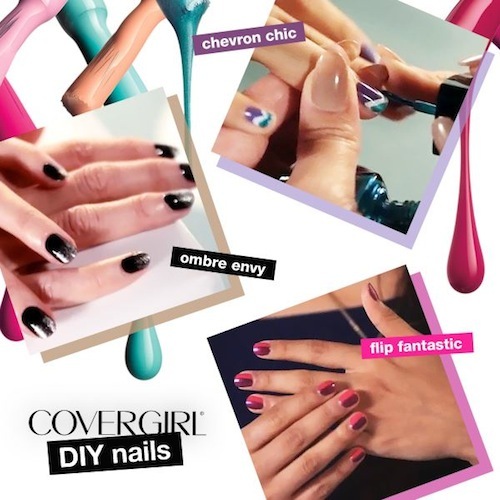 To give you some easy ways to use the polishes, CoverGirl launched a DIY video series featuring none other than celebrity manicurist Elle. 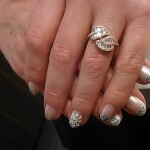 I was lucky enough to be in her manicure chair for a tutorial on the Flip Fantastic style. And seriously, the nail polish REALLY lasted — two coats, and a week later I was still looking for chips. Not bad for a $5 nail polish. Has anyone else tried them? What do you think? Our family get-togethers are like a Very Brady movie with a lot more food and an army of kids running around. The night ends up getting divided into a few parts: early dinner, real dinner, post-Taboo-playing snacking, and the after midnight meal. Something like that. But as you can imagine, with that many people who come with big appetites, we’re pretty good at making sure there’s no shortage on the food front. 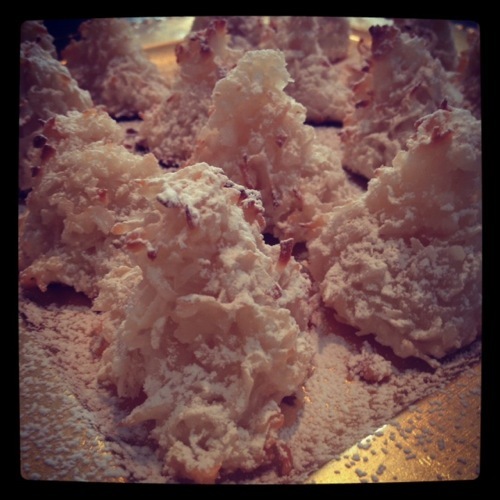 For our holiday potluck dinner, Heba (our resident fashionista/stylist/PR maven), said these Sugar-Dusted Macaroon Trees were the only dessert she was set on making from the beginning. 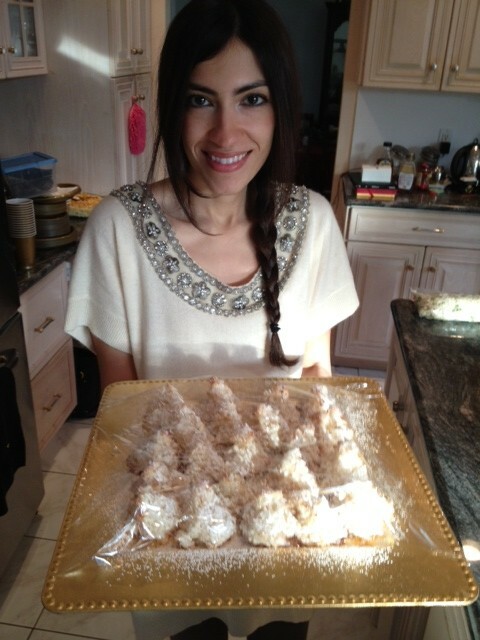 Not only are they are delicious, she said they were extremely easy to make. And they make a festive presentation for a holiday party, so I had to share! 1) Preheat oven to 350 degrees. Thoroughly combine coconut, granulated sugar, egg whites, vanilla, and salt in a large bowl using your hands or a wooden spoon. Form 2 tablespoons of the mixture at a time into 2-inch-tall trees with your hands, using your fingertips to make pointed tops. Transfer each tree to a parchment-lined baking sheet, spacing them 1 inch apart. 2) Bake until edges are golden and trees are firm, 12 to 14 minutes. Let cool on baking sheet on a wire rack at least 15 minutes. 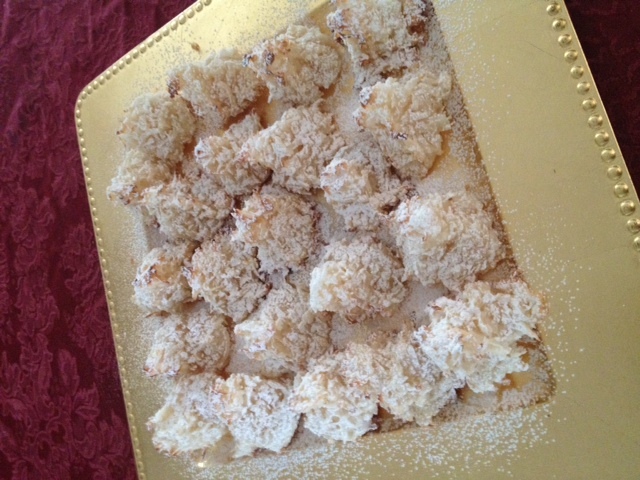 Cookies can be made up to 1 day ahead; dust with confectioners’ sugar just before serving. All photos courtesy of the Hebs. A couple weeks ago, I was invited to join a panel of judges for a community Iron Chef competition. It was truly one of the most fun, and inspiring events I was asked to be a part of. I lucked out by having the easy (and fun!) job of taste-testing appetizers, entrees, and desserts, all creatively using the secret ingredient: kiwi. That included dishes of tilapia, sea bass, roasted chicken, even lamb chops! But more than that, I was completely blown away by all the talent in one room. There were over 20 dishes to judge, and every single team used the ingredient in such complicated, interesting ways. 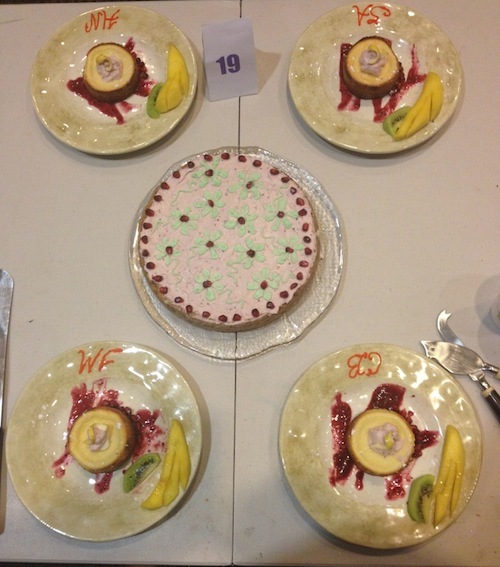 Judges' plates, each presented with our initials -- cute! There was definitely some stiff competition, but in the end, a few teams came up on top (and I’m hoping to share all their recipes here soon!). This dessert, Cheesecake topped with a Kiwi-Berry Chantilly Cream, won the People’s Choice award that evening. Every layer of it, from the roasted-almond crust, to the kiwi-berry chantilly cream, and the cheesecake itself, was like a symphony in my mouth. Try it yourself at home! 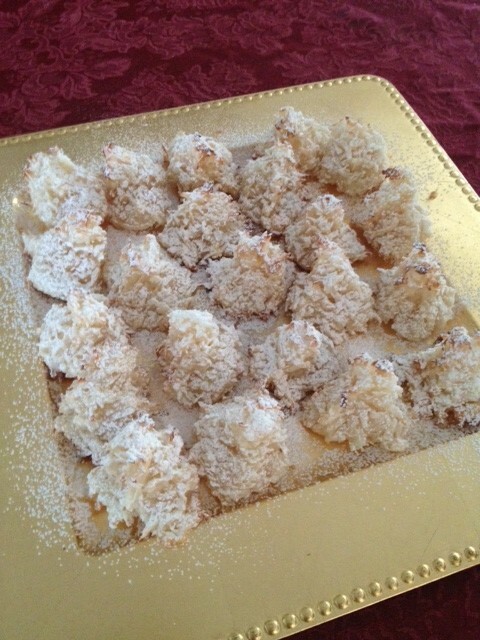 Toss almonds in vegetable oil and roast in oven on a baking sheet until lightly browned. Cool, and grind in a processor to a fine powder. Add cinnamon. In a separate bowl, combine butter and flour. Knead into a paste. Add ground almond mixture, and knead deeply. Press dough into a ball, wrap tightly in plastic wrap, and refrigerate for 30 minutes. Remove from fridge, press into pie pan, and bake in oven at 350 degrees for 20 minutes. Add a handful of raspberries and blueberries. 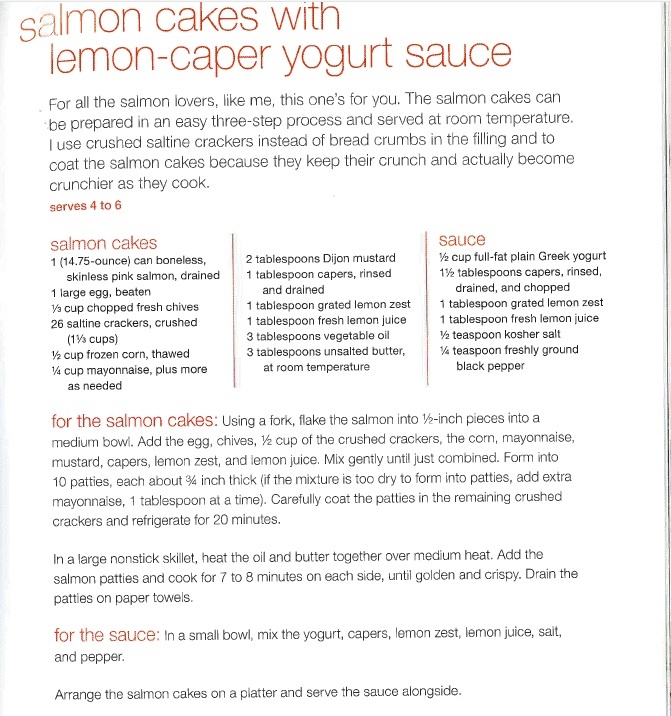 In a large bowl, start to beat 1 cup of heavy cream. Add 1 cup powdered sugar and 1 tsp vanilla. Beat until soft peaks form. Stir in 1/4 cup berry compote. 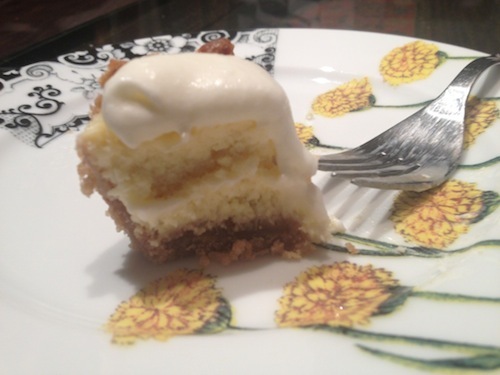 Thanks so much to Team 19 for sharing their delicious recipe! Stay tuned for more! Let me know if any of you get to try it at home, and what you think :). Eat good, feel good. 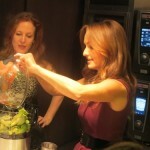 Clairol spokeswoman, celebrity chef Giada De Laurentiis invited us to an intimate cooking demo at The Kitchen NYC in midtown where she shared how to make some truly delicious (and healthy!) holiday nibbles: salmon cakes, arugula pesto pizza, Thai turkey lettuce wraps, and chocolate avocado mousse. If avocado and chocolate sound questionable together, rest assured it ends up working: The avocado keeps the texture thick but still dairy-free, and all you taste is the chocolate-y goodness. The trick: don’t tell them their dessert has avocado! Beauty and the Feast: How do you keep yourself from over-indulging at all holiday parties? Giada De Laurentiis: The worst thing is to be on a diet during the holidays! I don’t overdo it, I just eat beforehand. I’ve been loving quinoa lately. I do a little stir fry with a little chicken or fish, and throw some greens in it spinach or arugula. Mix it all together and get a nice meal with carbohydrates, protein, and greens. When I get to the party, I just nibble, and have a nice glass of champagne and I’m good to go. That way, I don’t look like a party pooper. If you don’t drink alcohol, I always say to ask for sparkling water and add some berries or lime so it looks festive and bubbly. You got to try to assimilate and work yourself in a party. BATF: What’s your go-to hair style for the holiday? De Laurentiis: Lately, I like to put my hair up in a bun. I got these sparkly rubber bands to pull my hair up with and then I just pull out my bangs. It’s just fuss-free and don’t have to curl my hair all day. My daughter loves the sparkle and we wear our hair the same way! BATF: What about your makeup? De Laurentiis: I go for lots of shimmer eyeshadow, and I love my CoverGirl mascara. I say to women if you can’t do anything else, just apply some mascara and a nice lipgloss and go out the door, and you’ll be fine. That’s the bare minimum. When I have a party at my house, I have a little drawer in my kitchen where I keep a little mascara, a little powder, and lipgloss in case I need a touch up so I don’t have to keep running up and downstairs. 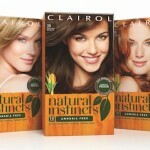 BATF: What makes you and Clairol a good fit? 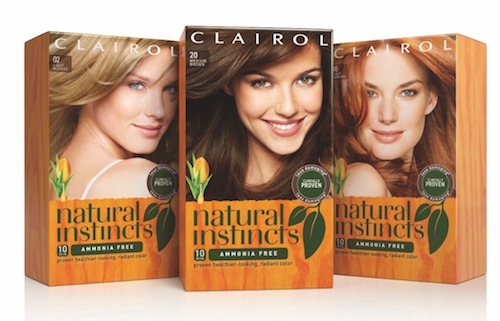 De Laurentiis: What I love about partnering up with Clairol and Natural Instincts is that we both have the same philosophy in our brand. 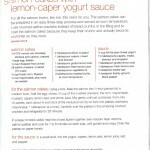 Natural Instincts wants to empower women through their hair color, and I want to empower women through the kitchen. I want women to feel good about themselves and I think women are really in tune with their hair. If you’re having a bad hair, you’re pretty much having a bad day. We’re very attached to our hair. As a women gets older, we get a few of our gray friends and they come to visit more often as we get older. I get highlights done in salon a few times a year but in between appointments, I use the box. It’s just 10 minutes, and it covers the grays and brings out the highlights even more. BATF: What color is your hair this time? I noticed it’s a little darker than before. De Laurentiis: This time, I colored my hair with Navajo Bronze which is a little more red than normal. Last time, I did Toasted Almond. But I think it’s kinda nice to go a little darker in the winter. But I think my absolute favorite thing about Natural Instincts is the ColorSeal Conditioner that it comes with. I’ve bought the box JUST for the conditioner. My hair goes through a lot when I’m working, a lot of blow outs and heat styling that really dries my hair out. I use this conditioner once a week, and it keeps the shine and bounce in my hair. Even Giada's nails were tricked out for the holidays! 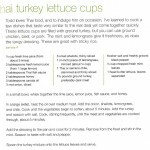 BATF: What are some foods that are good for your hair? De Laurentiis: Avocado, lots of greens and water, almonds, and plenty of olive oil. I have a lot of olive oil in my life! It’s a really great fat. As you get older, our skin dries out, so it really keeps your skin bright. I have oatmeal in the morning with olive oil and salt. BATF: With New Years around the corner, do you have any resolutions? De Laurentiis: This year, it would be fun to take more vacation. I’m dying to go to South America! I’ve never been. It’s so funny because I go to Europe a lot, and I just came back from Thailand and Hong Kong. But I’ve never been down south! That’s my next exploration. That, and to go on a safari this year! 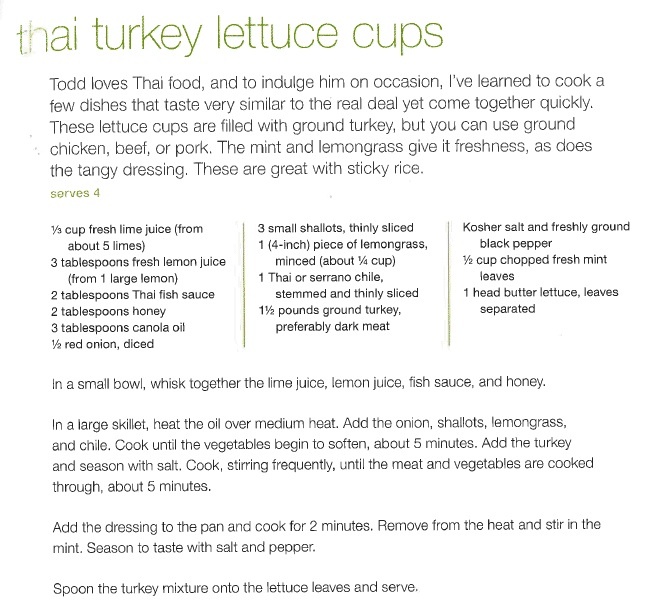 Below are Giada’s holiday recipes! Place the chocolate chips in a small bowl. Place over a small saucepan of barely simmering water. Stir until the chocolate is melted and smooth, about 3 minutes. Set aside to cool slightly. Place the melted chocolate, avocados, cocoa powder, agave, vanilla, and salt in a food processor. Blend until smooth and creamy, scraping the sides of the bowl as needed. 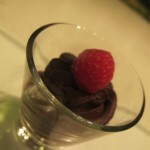 Spoon into glasses and refrigerate for at least 3 hours (can be prepared 1 day in advance). 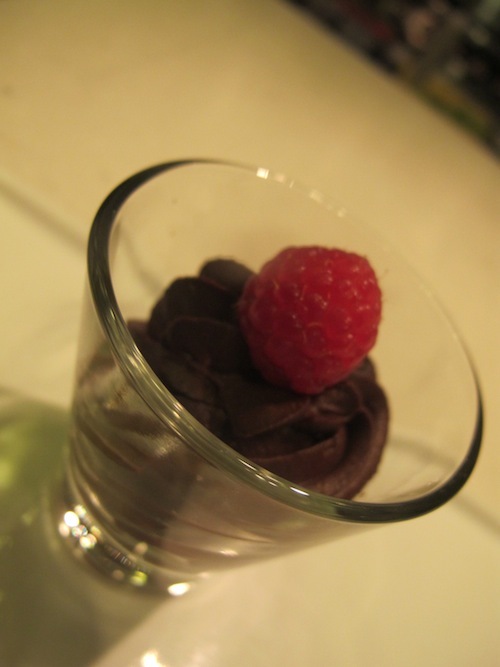 Garnish with fresh raspberries and serve. Place an oven rack in the center of the oven. Preheat the oven to 475 degrees F. Sprinkle a heavy baking sheet (without sides) with cornmeal. Set aside. In a food processor, blend the ricotta, garlic, salt, and pepper until smooth. Add the smoked mozzarella and arugula. Pulse until just combined but still chunky. On a lightly floured work surface, roll out the dough into a 14-inch diameter circle, 1/4 to 1/8 inch thick. Transfer the dough to the prepared baking sheet and drizzle with olive oil.Spread the ricotta mixture on top leaving a 1-inch border. Arrange the tomato slices on top. Drizzle with olive oil. Bake for 15 to 16 minutes until the crust is golden. Cut into wedges and serve. 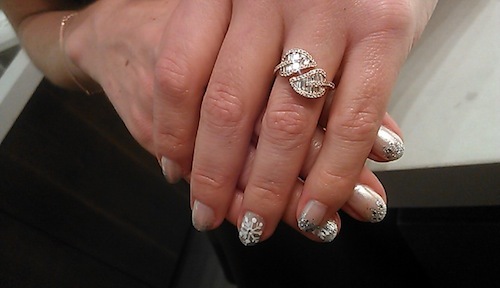 Even Giada’s nails were tricked out for the holidays! 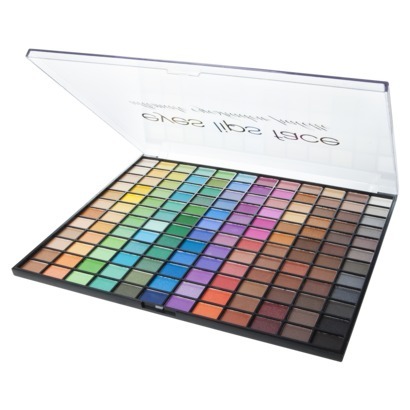 Twenty gorgeous shades of Bare Escentuals eye colors in jaw-dropping velvet and satin finishes. 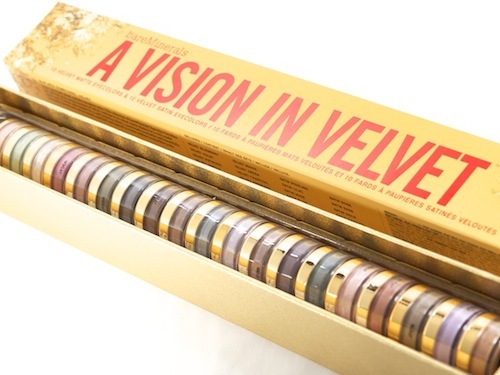 Gorgeously packaged in a row with blendable, buttery textures that can be mixed and matched. Worth $220 but available in a limited-edition for a fraction of the price, there’s just no way to go wrong with this gift for the beauty junkie. 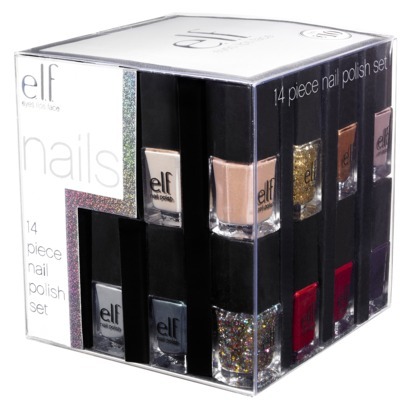 Do yourself a favor and stop by Target, because they have the most ingenious gift ideas, like this Elf Nail Cube. Not only does it have 14-holiday friendly colors of mini-nailpolishes, but it’s presented in a cute cube that displays them each beautifully. How can your resident polish enthusiast not appreciate this?! Plus, it’s a wallet friendly $10. 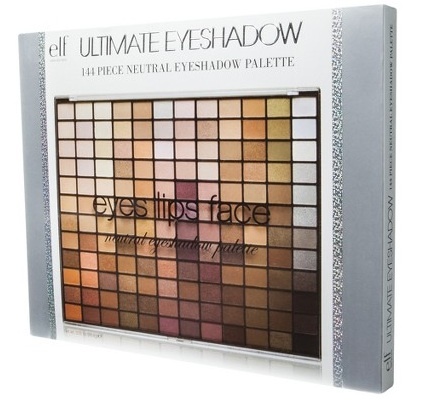 While you’re at Target anyway, I imagine this palette with every eye shadow color imaginable would be hard to pass up. You get 144 colors for only $15. Pick from brights for the adventurous beauty girl, or the neutral palette for the sophisticated types. 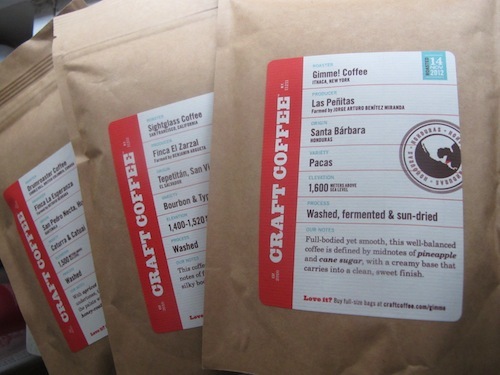 The people behind Craft Coffee take their java very seriously. I’m talking 55 hours of tasting, evaluating more than 50 coffees from around the world each month. They only accept the very delectable though (and they’re tough judges, accepting less than 6% of the coffee that end up on their table!). The best part is they do all the work for you and send members a pack of three flavors that come out on top every month. If you know anyone who are just as critical of their coffee, this gift is definitely a creative way to help them indulge in their habit. For someone who travels as much as I do, I would definitely appreciate a compact palette like this one from Benefit that has all the essentials — a 4-shade eyeshadow palette, their pore-covering POREfessional, They’re Real! Mascara (a must if you haven’t tried it…I care a small tube with me everywhere), face powder with brush, lip gloss, and a double-ended applicator. Easily fits in your jetsetters purse, and won’t give her any trouble at security. Comes complete with a How-To-Apply instructions as well. While we’re talking about Benefit, HAVE you guys taken a whiff of their new perfumes yet?! They are INCREDIBLE and I’m obsessed with their limited-edition holiday kit of four fragrances in easy to-go etd vials. They’re each captivating on their own, but you can also mix and match florals to their oriental-woody scents to create your own scent. There’s so much good here. If you don’t get it for someone else, do a favor to yourself and gift to to yourself — you won’t regret it. 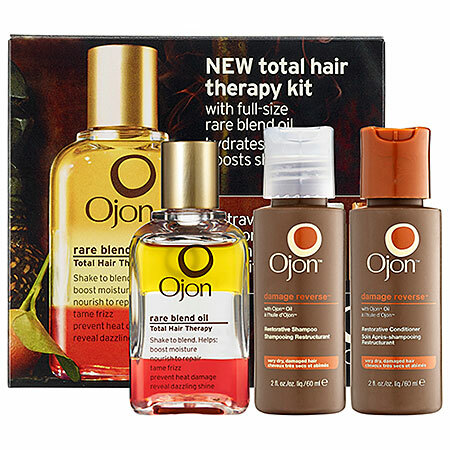 One use of Ojon’s rare oil left my hair gleaming, so i wouldn’t think twice to recommend their kit. Helps hydrate, repair and boost hair shine with their mix of Tahitian monoi, marula, and kalahari desert oils. 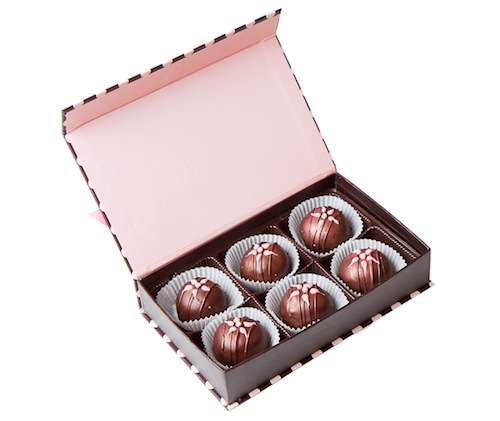 If leaving a box of these chocolates on my living room coffee table, and finding it empty by the end of the day is an indication of how delicious these chocolates are, then that should be enough to get your favorite person a box of them yourself. Warning: It might just be an indication of how much my roommates and I love chocolate. But ANYWAY. If salted truffles aren’t your thing, their christmas oreos will be ($5/set of three). Their chocolates are handcrafted with ingredients from around the world — cocoa from West Africa and Indonesia, vanilla beans and spices from the South Pacific, and more. Check out their website for all their holiday-themed offerings: edwardmarc.com. If you have a friend who can’t quite get over their gel-nail polish addiction at the salon, this will make her day: an at-home gel-nail kit at a fraction of the price from SensatioNAIL. That means 10-minute manicures all in the comfort of your home. They also just launched their Glitter Effect duos that will get her in the holiday spirit in no time. Laura Geller’s ode to NY. The most brilliant thing about this makeup palette (besides that it contains a round up of beautiful, romantic shades that take you from day to night), is that it’s as thin as a CD case. Translation: it will not only fit your purse, but it will also be fun to watch your loved one keep herself from rolling her eyes thinking it’s just another CD before she unwraps this gift to be completely blown away. And all for less than $30. 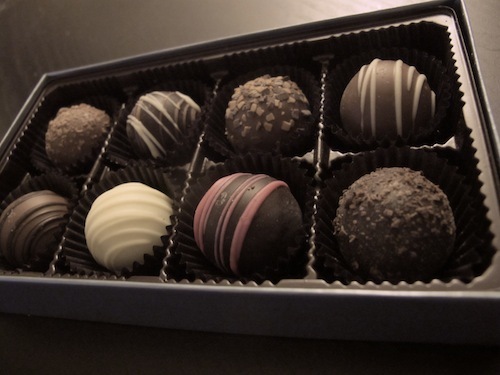 Gourmet truffles with rich flavors (think chocolate cake blended with chocolate strawberry buttercream, hazelnut with vanilla cake, or coconut cake with coconut buttercream to name a few), there’s something for everyone. 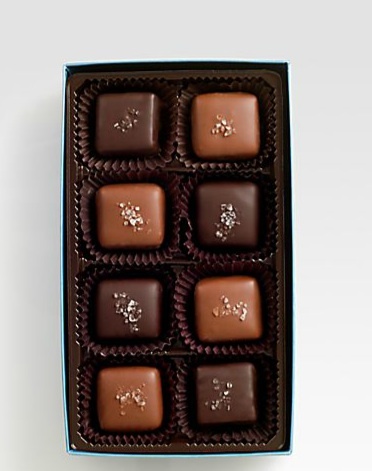 Create a box of a dozen decadent flavors with custom ribbons, gift message, and logo hangtags for a nice personalized touch. 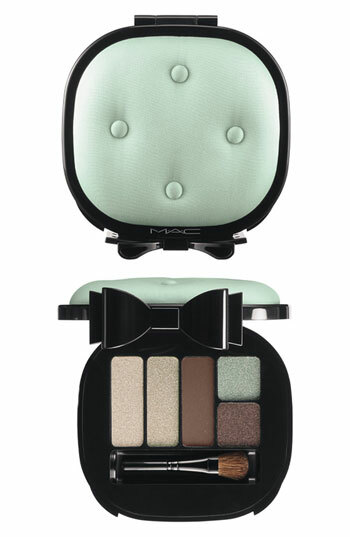 It’s going to be hard to find something as chic as MAC’s new satin-tufted compacts. Complete with matching shadows to compliment any girl’s style. They have equally luxe palettes for face available for $10 more. 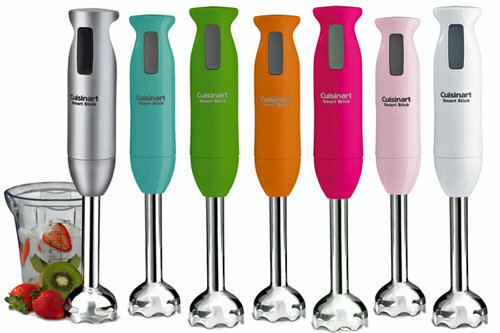 An essential accessory to any kitchen, this small blender has a powerful 200-watt motor and is dishwasher safe. The hardest part will be to pick a color.